In celebration of the upcoming Oral Systemic Health Week, Fulbright Cosmetic & Reconstructive Dentistry will be offering a Day of Free Dentistry to those in need! During this exclusive, special event, our experienced Redondo Beach dentist and his skilled dental team will perform treatments such as fillings, teeth cleanings, hygiene maintenance, and extractions free of charge for patients who are in need of dental care but may not have the financial resources to obtain it on a regular basis. The Day of Dentistry will be held on Friday, October 20th here at our office. Patients will need to be screened ahead of time before they can participate in our Day of Free Dentistry so that the schedule and treatment plan can be set prior to the event. Our office will also be partnering with Sandpipers, a local women’s philanthropic organization, to help us identify local shelters that have people in need who can benefit from free dentistry. We also welcome individuals who cannot typically afford basic dental care to contact us for more information about the Day of Free Dentistry. Oral Systemic Health Week is a national event that brings awareness to the connection between oral health and general health. 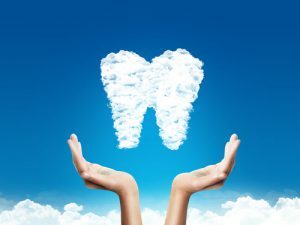 Our practice understands that maintaining good dental and periodontal health is essential to reducing risks to overall health, and we are committed to helping the less fortunate among us gain access to the treatment they need. If you would like to participate in our Day of Free Dentistry, please don’t hesitate to contact us today!